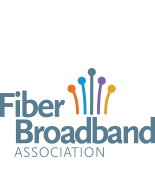 The Fiber Broadband Association Policy Committee was very active over the summer and secured some major victories for our membership, most notably the FCC’s adoption of the pole attachment reform order. FBA Executive Director Lisa Youngers filed support for H.R. 3994, The Advancing Critical Connectivity Expands Service, Small Business Resources, Opportunities, Access and Data Based on Assessed Need and Demand Act (ACCESS BROADBAND Act).